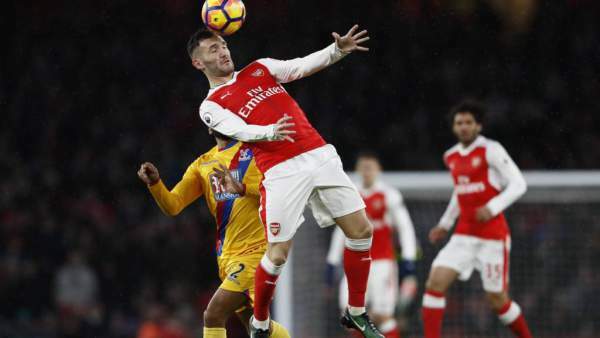 Arsenal plays Crystal Palace in the last game of the 19th match day of the Premier league 2017 at the Emirates for their game. Arsenal are fourth on the table with 37 points from 18 games, two points below Manchester City and one point above Tottenham. Crystal Palace are 17th on the table with 16 points from 18 games, two points below Middlesbrough and two points above Sunderland. 01st January, 2017 at 21:30 (IST). Arsenal are currently in the top five and no one is ready to lose in that top five but Manchester City lost their tie against Liverpool and Arsenal has a chance of going third on the table if they win this fixture. The top six in the Premier league are going very strong and despite winning all of their games in December, Manchester united are still sixth on the table. Arsenal have won 11 games, drew four and lost three, scoring 39 goals and conceding 19 goals in total. Sanchez is their top scorer with 12 goals to his name and Theo Walcott following him with eight goals as well. Arsenal are currently unbeaten in their last 8 games in the league. Olivier Giroud also has five goals in his last three league starts. Crystal Palace are just two points from the relegation zone and needs to push up and start playing well if they want to avoid getting into the relegation zone. They have won just one game in their last 12 league games, drew three and lost eight. They haven’t kept a clean sheet away from home in the league since 26 December 2015. Christian Benteke has eight goals to his name in the league till now and is one of the most important players in the squad right now. Cech, Gabriel, Bellerin, Koscielny, Gibbs, Ozil, Sanchez, Iwobi, Xhaka, Coquelin, Giroud. Hennessey, Delaney, Ward, Kelly, Dann, Townsend, Puncheon, Flamini, Zaha, Cabaye, Benteke. Arsenal are in good form and are stronger than Crystal Palace, so they have better odds against Palace.